LIVE & DIRECT FROM THE BORO: NEW SHOW TODAY @6PM(PST) – Radio for the People, by the People. Dropping gems on’em, it’s the Boro DJs. Back with another heat rock of a show. MightyL and Skech2 will send you and yours into the night…..right. Spinning new and old joints to get you into the mood. New music by Tribe Called Quest sets off the show. With MightyL going into a Native Tongues set of heat rocks. Second hour we have Skech bringing treats to the airwaves as always. With his unique taste in music, who knows what he might play. But it’s guaranteed to be dope. 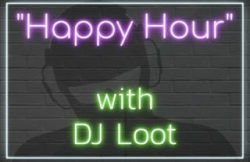 Tune in today starting at 6pm(pst) in studio 2B on FccFreeRadio.com. Just say NO to boring radio……CHEA!